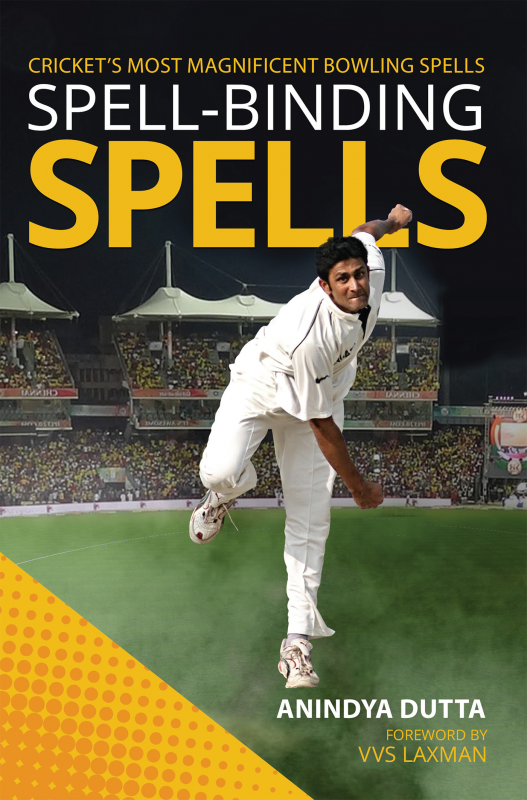 Spell-binding Spells is a book for everyone who loves cricket. It is about stunning spells—those few overs that occur rarely in cricket, when bowlers weave magic and batsmen are mesmerized. What did the stunning bowling spells of Anil Kumble, Narendra Hirwani, Ravichandran Ashwin, Padmakar Shivalkar, and Yuzvendra Chahal achieve that Kapil Dev’s career best spell could not? Curtly Ambrose and Sarfraz Nawaz, 14-years apart, bowled identical deadly spells against the same opposition taking 7 wickets for 1 run. Who were the hapless victims? Why did Gary Gilmour of Australia with an ODI bowling average of 10.31 and Clarrie Grimmett of Australia after taking 13 wickets in a Test in two magnificent spells, never play for their respective countries again? Spell-binding Spells looks at 50 of the most magnificent bowling spells in the history of cricket and answers some of these questions. Anindya Dutta, an international banker by day, is a widely read cricket columnist and author. His first book on cricket, A Gentleman’s Game published in early 2017, rose to the top of the Amazon Bestseller list in India, Australia and UK. He writes on cricket and its history on global platforms like ESPN Cricinfo, Cricket Country, The Roar, Cricket Soccer, and The Sportstar. Anindya has worked in London, Hong Kong, Delhi, Kolkata, Mumbai and Singapore where he currently lives. Follow Anindya on his website www.cricketwriter.com, on Twitter (@Cric_Writer) and Facebook (Cricket Writer).